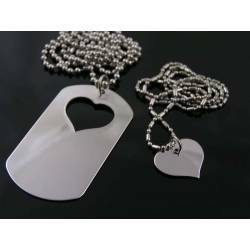 "It came just in time and looks lovely"
These are matching couple necklaces (his and hers jewellery) with a large dog tag style pendant and a smaller heart pendant. 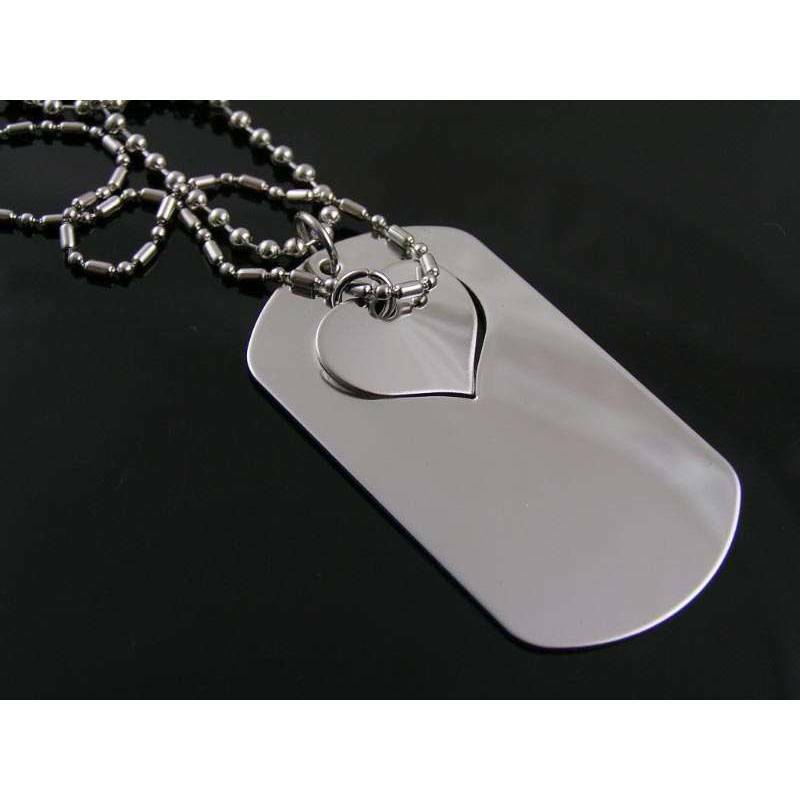 The heart fits exactly into the stamped out portion of the dog tag. 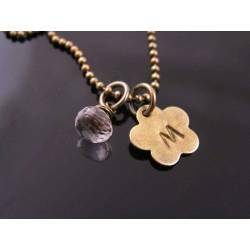 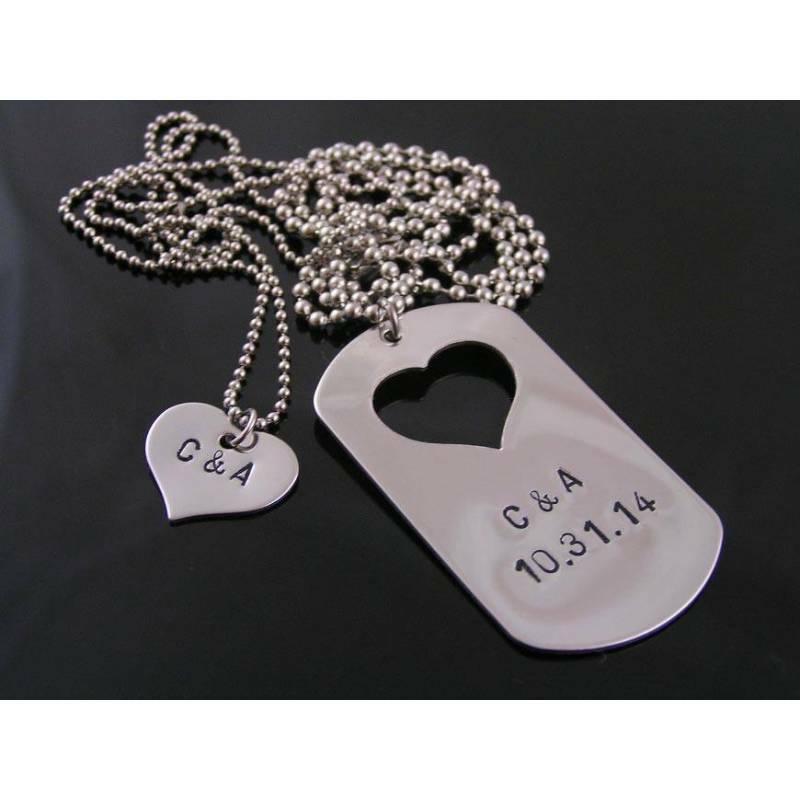 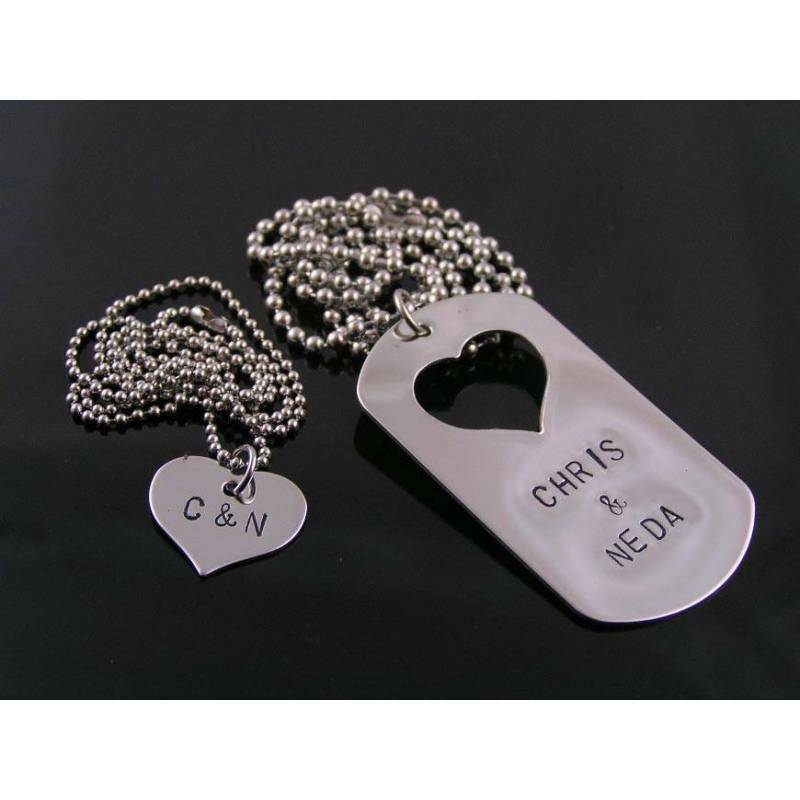 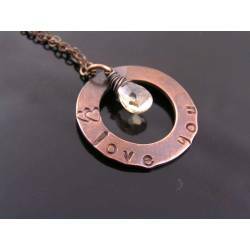 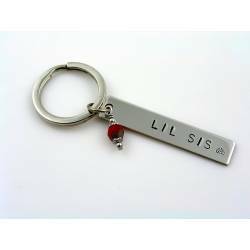 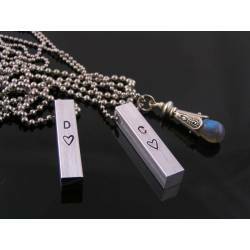 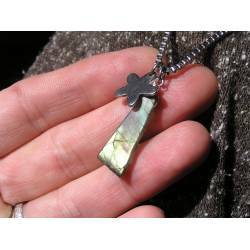 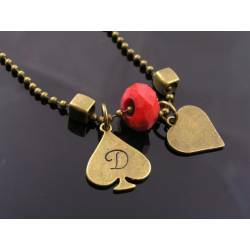 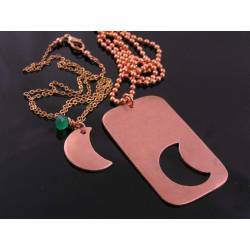 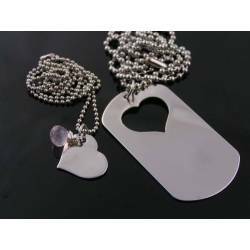 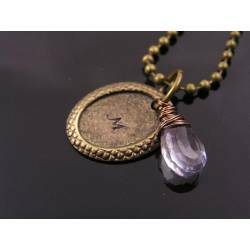 Included in the listing price are hand stamped names or initials on the dog tag and initials on the heart - as seen on photo 3 + 4. 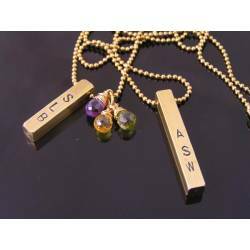 For all other customisation (different text, added gemstones, longer/shorter or different chains) please contact me before purchase for a quote. 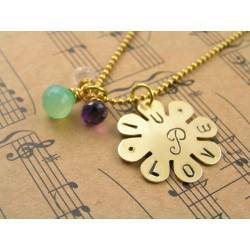 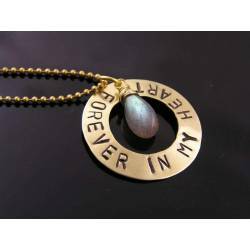 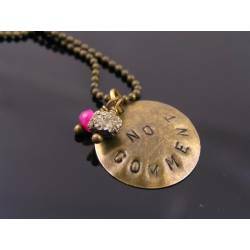 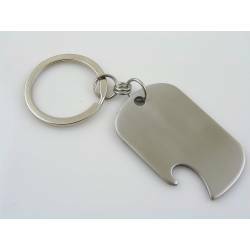 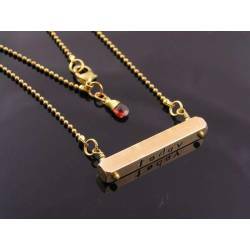 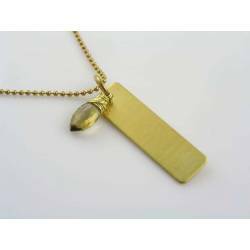 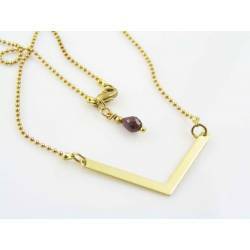 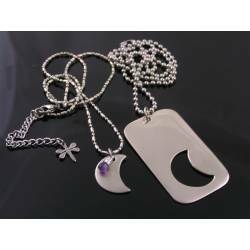 - The dog tag pendant measures 5cm or 2" in length and 28mm or 1 2/16 inches in width. 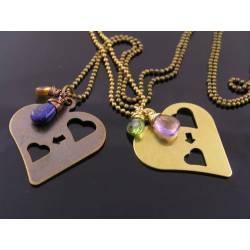 The heart measures 18x14mm or 11/16 by 9/16 inches. 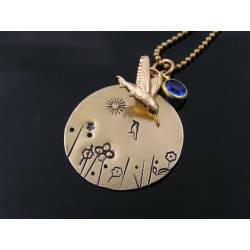 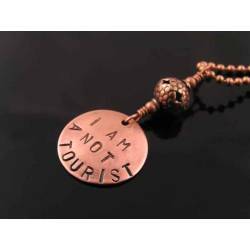 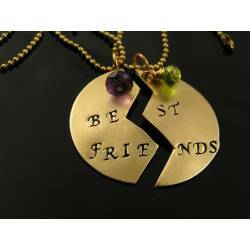 Both pendants can only be stamped on the front. 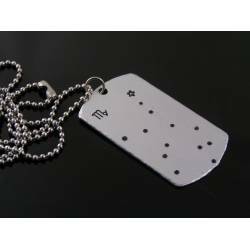 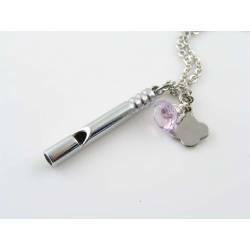 The dog tag is threaded onto a ball chain which measures 55cm in length. 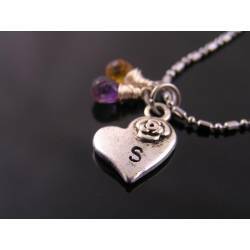 The heart comes with a ball-and-stick chain which measures 45cm in length. 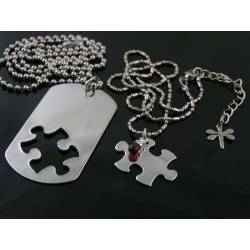 Please note: custom made pieces cannot be returned. 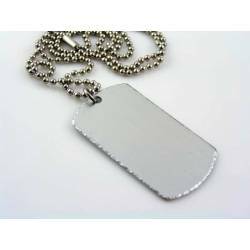 Please leave your required text at the bottom of this page.